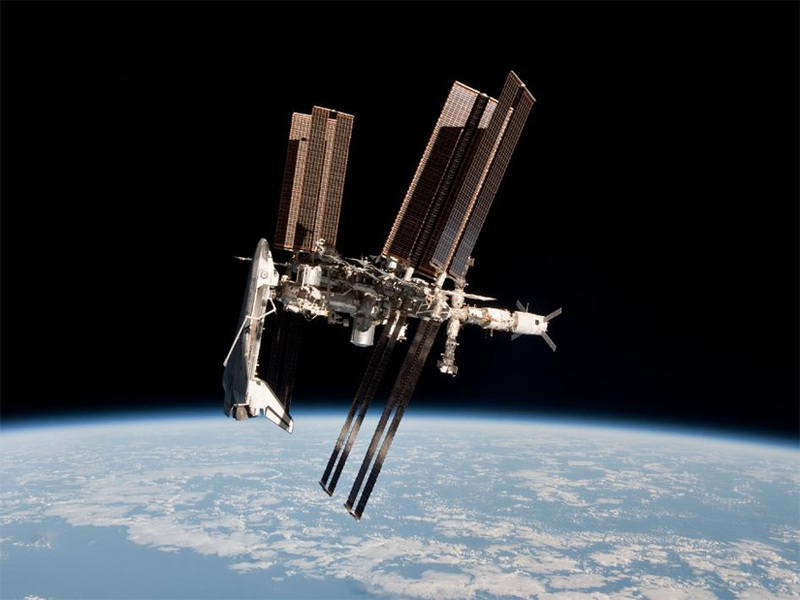 Space shuttle Endeavour and the ISS docked as seen from a Soyuz capsule, May 23, 2011. Photo courtesy of Paulo Nespoli/NASA. At this time, the STS-135 crew is going through their rendezvous checklist in preparation for undocking from the International Space Station. After 2:28 AM, the space shuttle permanently retires from its role as a space caravan to the ISS. If you don’t have NASA TV at home, you can watch it via the magic of the World Wide Web at this Spacevidcast live feed.